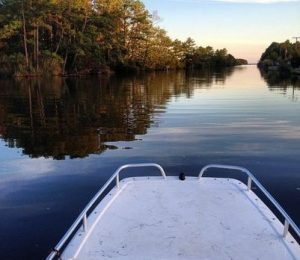 VBSF.net sponsors offer freshwater trip on Back Bay in Virginia Beach. Freshwater guide services specialize in custom trips and cater to small groups usually 1 to 3 anglers. This type of chartering is up close and personal, lots of one on one instruction from your guide. They offer a hands on experience from rod handling to bait rigging.